From Harappan sites to Buddhist relics, and colonial cantonments to martyr memorials, India is a treasure trove of cultural attractions. Thus, offering enriching peep into the country’s past as well as its present, Sahapedia & YES Culture lead pan-India heritage walks to discover its hidden cultural secrets. The Indian land is dabbed with fascinating, historical towns that tell tales of battling empires and maharajas (kings), while some of India’s most alluring abandoned forts hide among their dusty bazaars (markets). With several remains of India’s early years disguised as historical buildings and also its culture, one of the best ways to spend an early morning in the country is to spare time for a heritage walk. Thus, encouraging citizens to explore tangible and intangible heritage, and to bring forth country’s architecture, food, and crafts, Sahapedia (online resource on arts, cultures and heritage of India), and YES Culture (YES global institute), are leading month-long guided heritage walks with experts. India Heritage Walk Festival (IHWF) 2018, will cover more than 18 cities and towns in the country, featuring walks to historical monuments and shrines, places known for art and culture, handicrafts and the Indian cuisine. The first walk began in Ahmedabad (India’s first world heritage city), followed by Delhi’s Mehrauli Archaeological Park. Besides metros, IHWF will also cover culturally rich cities inlcuding Jaipur, Udaipur, Srinagar, Itanagar and Tripunithura. 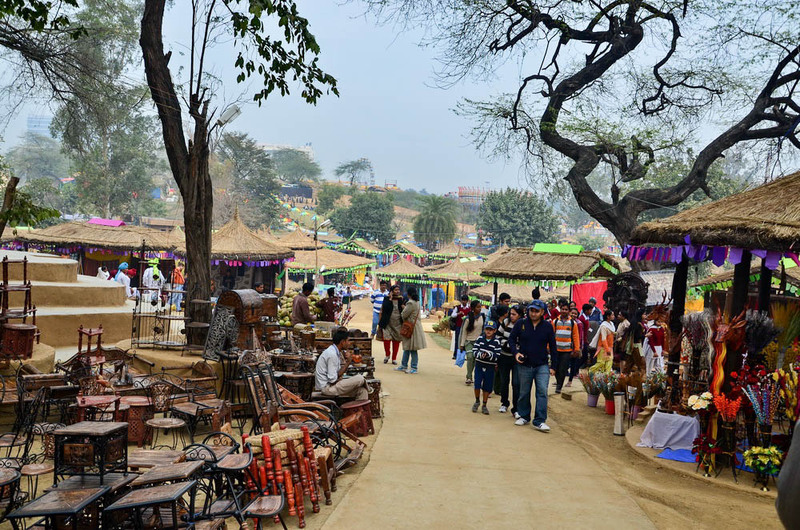 In Delhi, participants can attend events in Nizamuddin Basti on Sufi Culture, followed by an exploration of New Delhi’s history on February 25, with other walks exploring heritage sites like Hauz Khas, and appreciating public art in Lodhi Colony. For architecture lovers in Vadodra, a walking trail is organised to the Indo-Saracenic architecture at MSU, in Baroda on February 17, which will be followed by a Holi Walk in Bikaner on February 25. To go down the memory lane, walk towards Mumbai – India’s movie capital, to visit its single-screen theatres and trace their history. Some of the other trails include understanding river Jhelum in Srinagar on February 26th, visiting the crowded ghats in Varanasi on February 24, and exploring the history Jews in Kochi on February 23, amongst many others. Tailored for students, travellers, residents, and photographers; children, differently-abled individuals, economically disadvantaged people are also welcomed for the walks, which are based on distinct themes, and are rich on information.